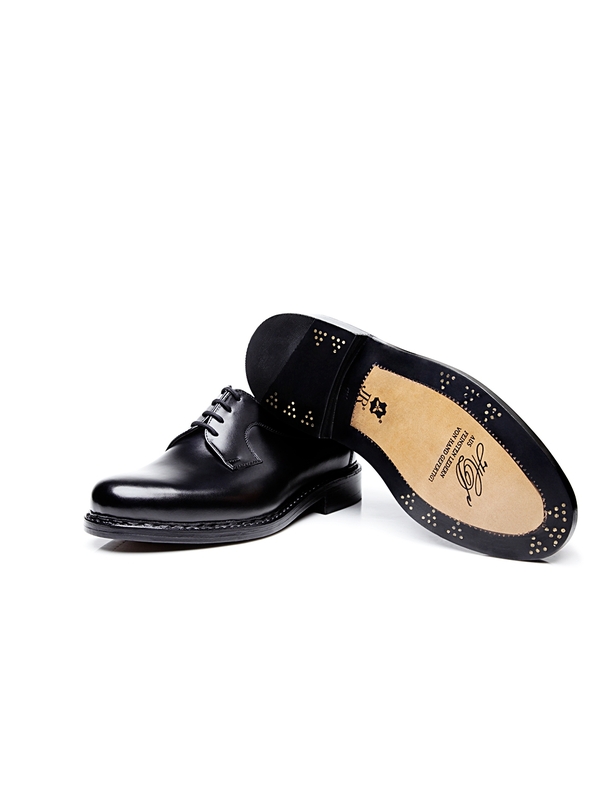 Double Sole with Set of 6 Nails A flexible leather midsole and a leather outsole made by the renowned Rendenbach tannery guarantee elegance, abrasion resistance, and lasting quality — supported by a set of six nails. 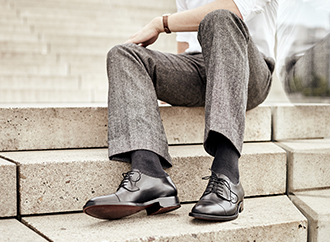 The plain Derby is a classic component of an elegant footwear collection. 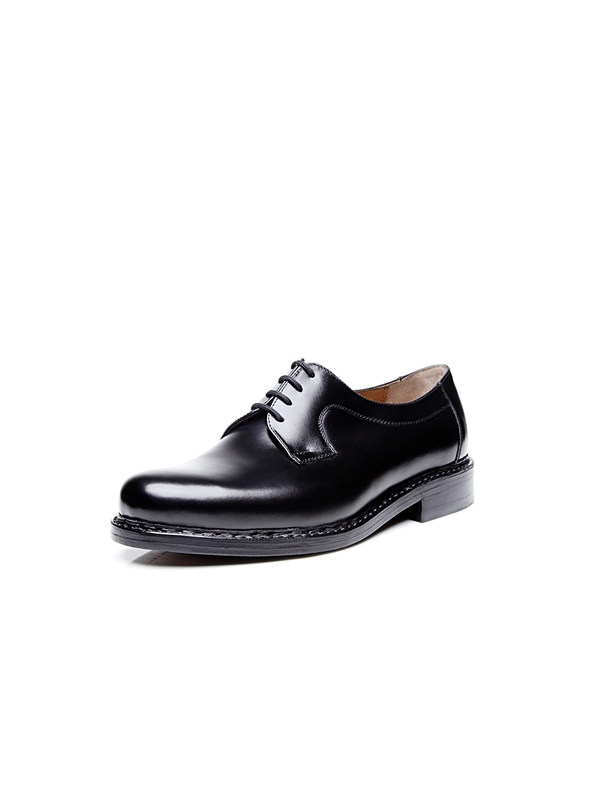 Its open lacing makes it especially popular among men with high insteps. 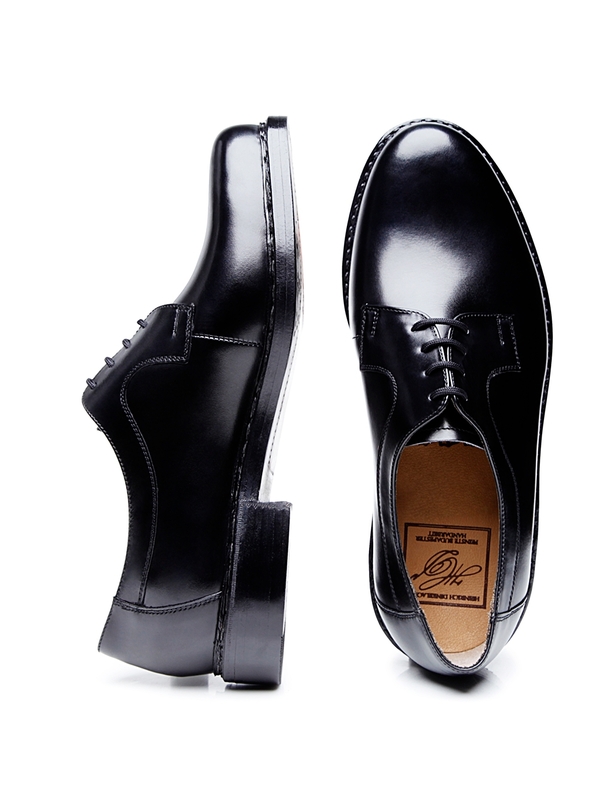 Handcrafted using an extra-wide Janosh K last, this model is the ideal choice for those with discerning tastes. 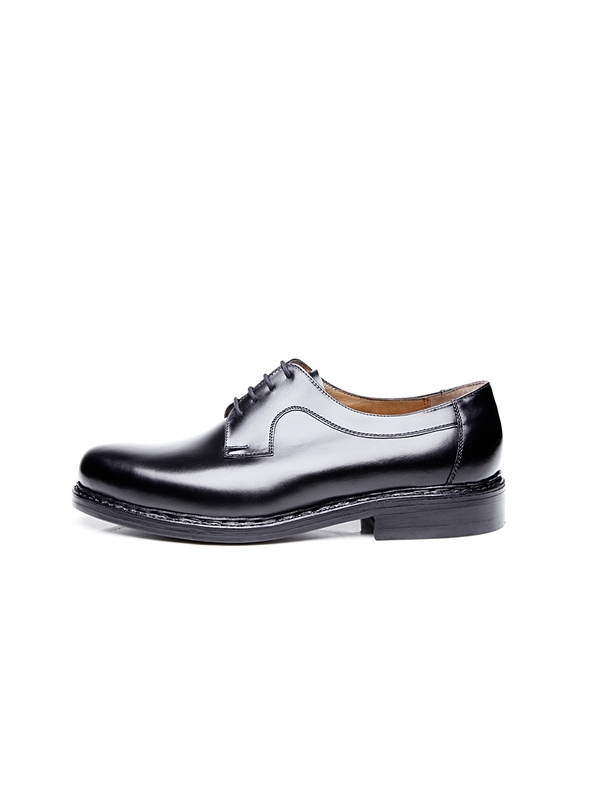 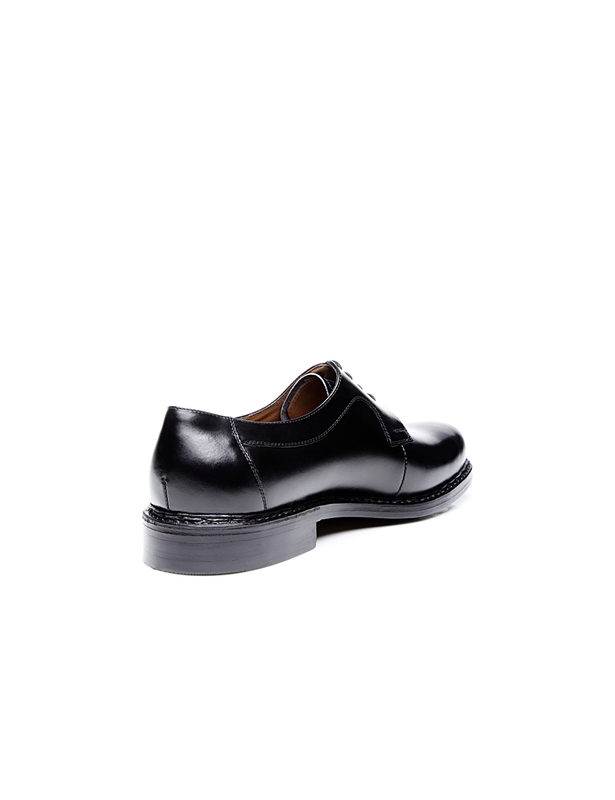 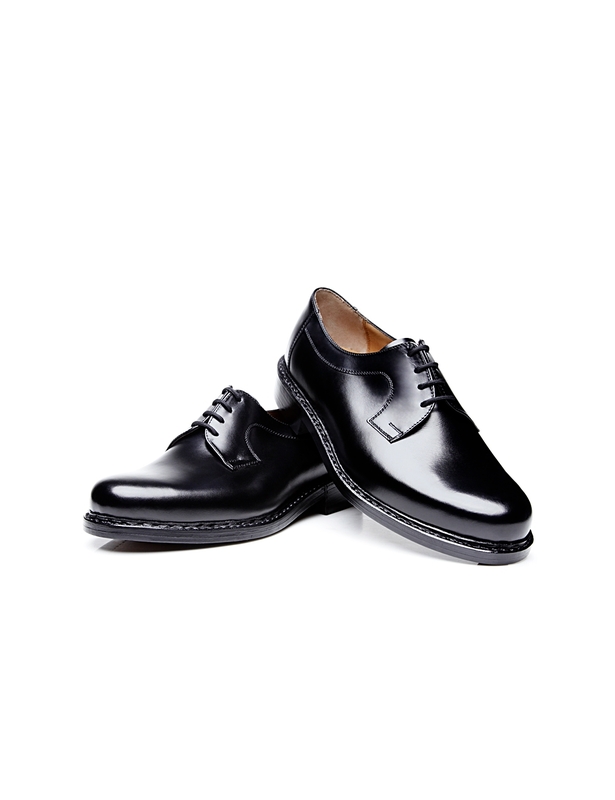 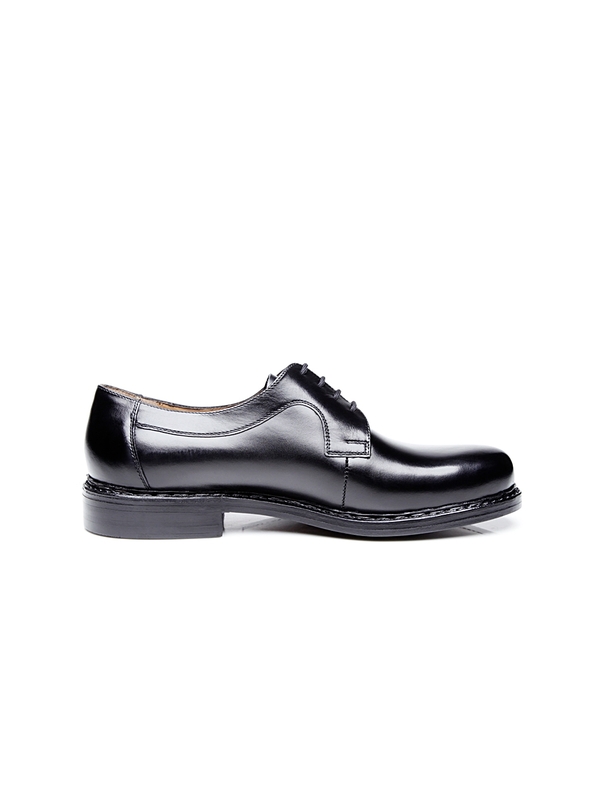 Its upper is made from gleaming box calf, a classic variety of smooth leather; the perfect choice for premium low-rise shoes, this material impresses with its fine yet firm fiber structure as well as its breathtaking shine. 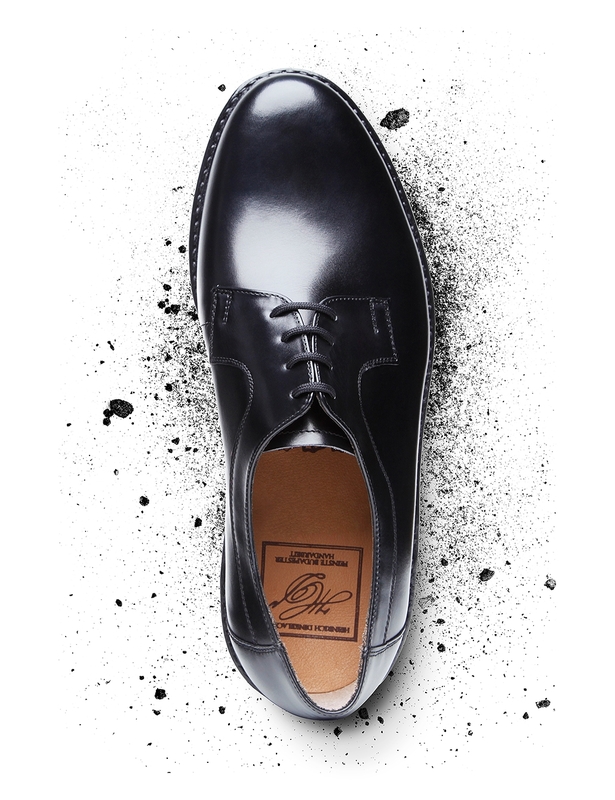 This dreamy Heinrich Dinkelacker shoe also boasts meticulous sole construction and a durable leather sole - excellent features both. 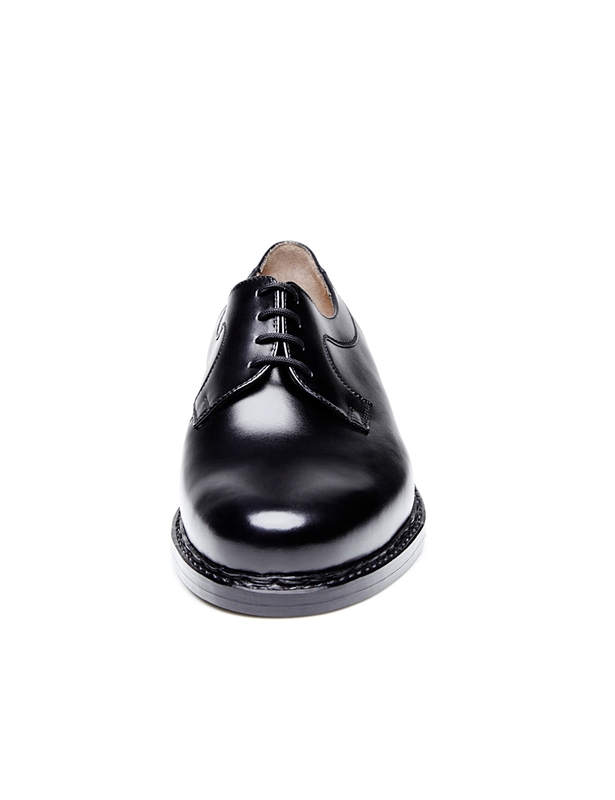 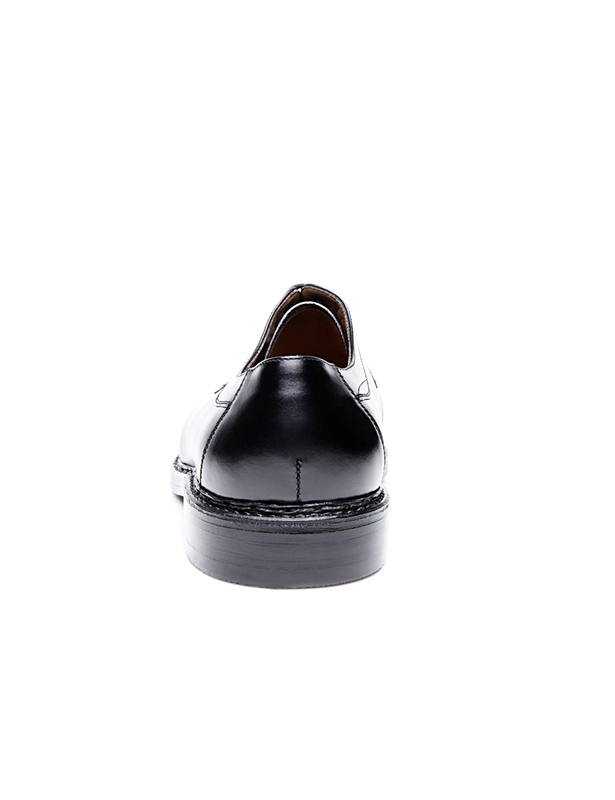 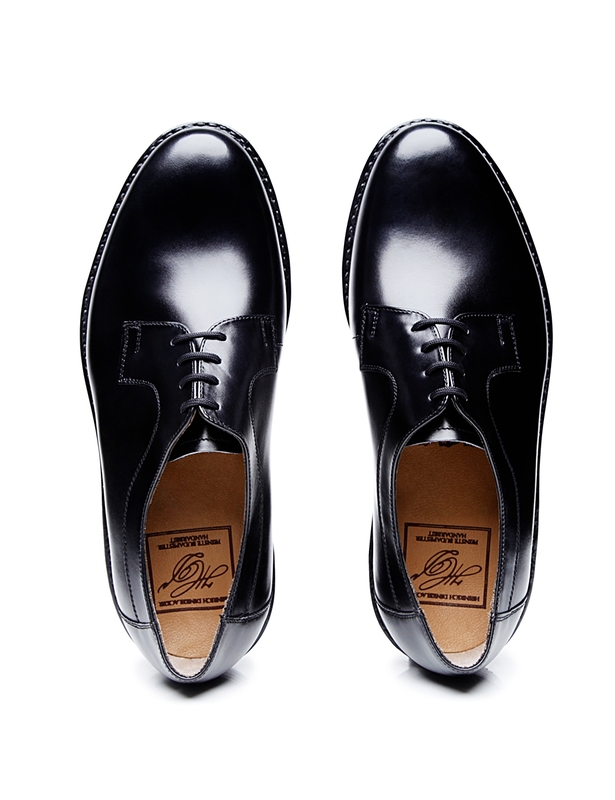 Last but certainly not least, this double-stitched plain Derby features a sophisticated double sole as well, which includes a leather outsole made by the renowned, traditional Trier-based Rendenbach tannery. 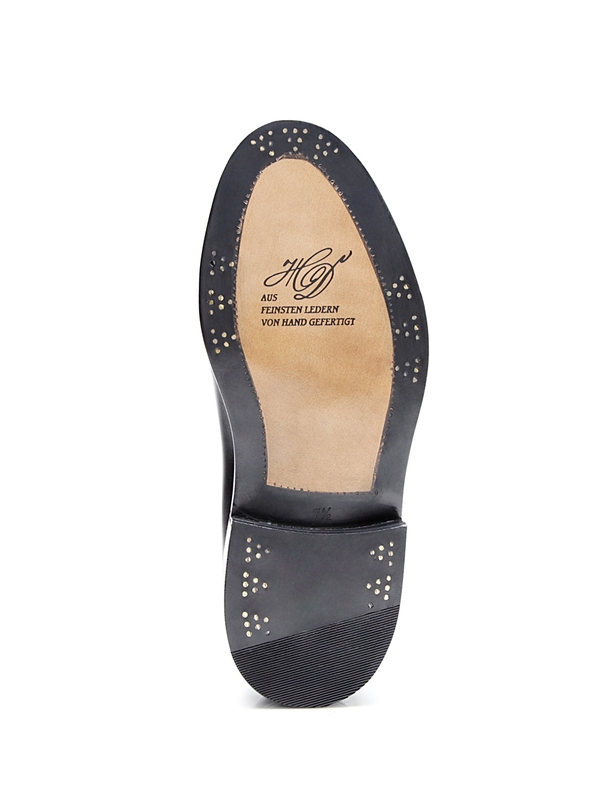 Said sole is fixed in place with a set of six nails driven in by hand.